Wow,this P-town Sunset was great fun to paint. The Colors seemed to dance with joy and becken the artist to capture it quickly before it was taken away by the approaching night. The evening air was warm. 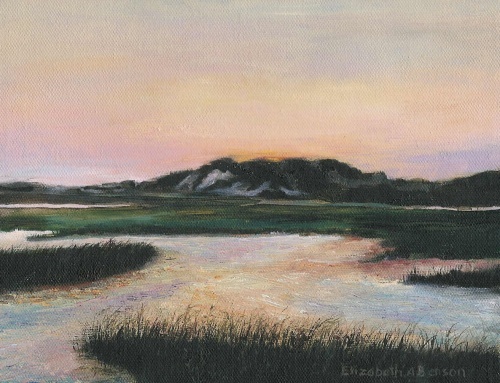 The smell of the sweet grasses and salt water filled the senses and enveloped us as we painted there on location. There is something special we share as artists when we are engaged in the process of creating together.